This year marks the 150th Anniversary of the Battle of Ridgeway. The Battle of Ridgeway was a critical event in our nation’s history. In fact, many leading historians believe that the battle was a catalyst resulting in the confederation of Canada one year later. On June 4th, the Town will be welcoming back the descendants of the regiments who fought at that battle with a parade, ceremony and festival. In order to accommodate, vehicle traffic will not be able to access HIGHWAY 3 (Garrison Road) between Gorham and Ridgemount roads from 9am to 3pm or RIDGE ROAD from Rebstock Road to Highway 3 (Garrison Road) from 10:30am to 1pm. 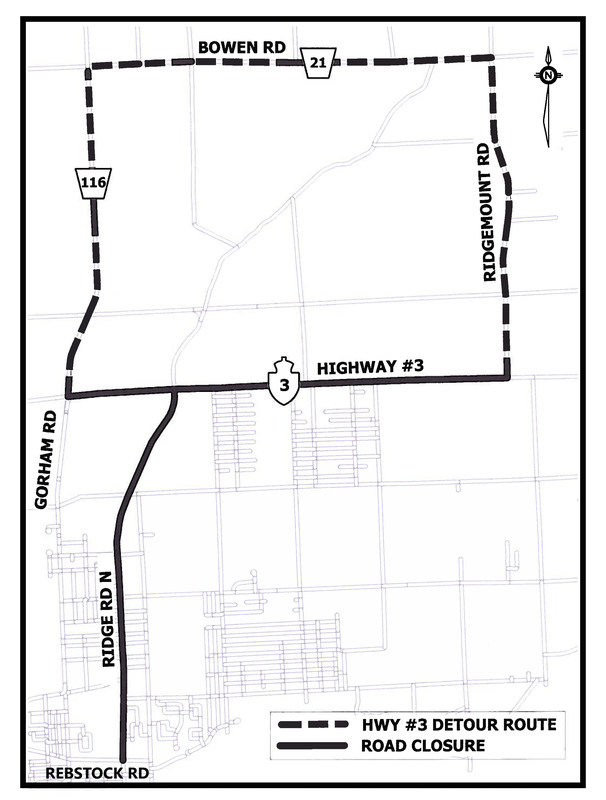 Vehicle traffic looking to travel via Highway 3 on June 4 will be directed through an approved detour route via Gorham, Bowen and Ridgemount roads. Spectators will be traveling to the park by foot, bike or shuttle. In addition, event organizers anticipate that many people will be parking on the side streets within the Ridge Road and Battlefield Park area in order to attend the event. 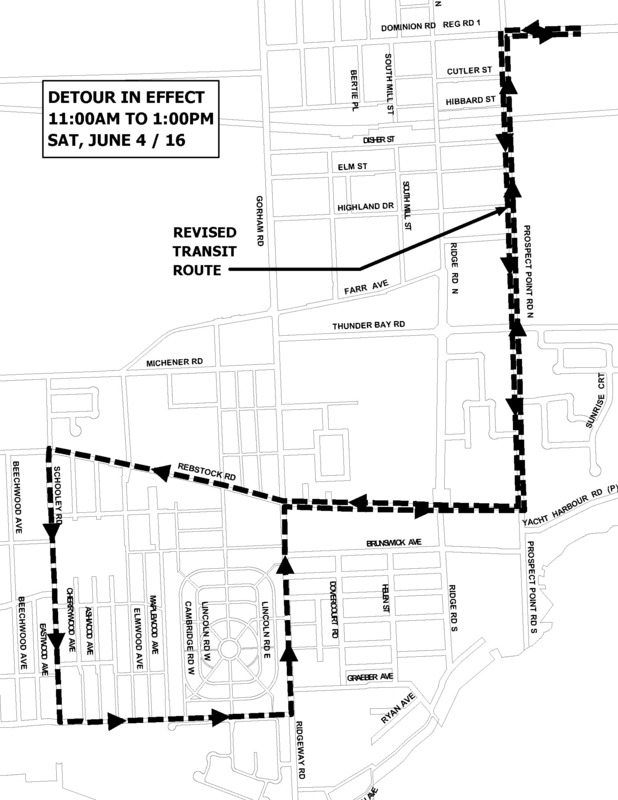 In addition, a bus detour route will be in effect from 11am to 1pm (see map below). For information about the Bus Detours, please call 905-993-1001. If you have any questions about these road closures or the day’s festivities, please contact Russ Wilson at 905-871-1600 ext. 2540 or rwilson@forterie.ca. ROAD CLOSED 5 times and had to stop to ask for further directions. We finally reached Garrison Rd., via Crystal Beach, (Thunder Bay Rd., Dominion Rd., Stonemill Rd. etc before we reached Garrison Rd.) If there were detour alternate roads posted, we as well as many, many others did not see them. What for us would have been a 30 min, drive, it turned out to be 1 1/2 hours. We realize June 4th was a historical day for the Fort Erie area, but there was a lot of frustration for those trying to reach Fort Erie.